Dental implants are a long-term aesthetic and functional solution for the loss of one or multiple teeth. Dental implants are artificial root replacements which support dental prosthesis such as crowns, bridges or dentures. They’re made of titanium, what guarantees that it won’t be rejected by the human body. Almost anyone missing one or multiple teeth can receive dental implants. During your first free consultation, we will estimate your overall oral cavity health and your medical status. After checking everything, we will create an individual treatment for you, according to your specific situation. 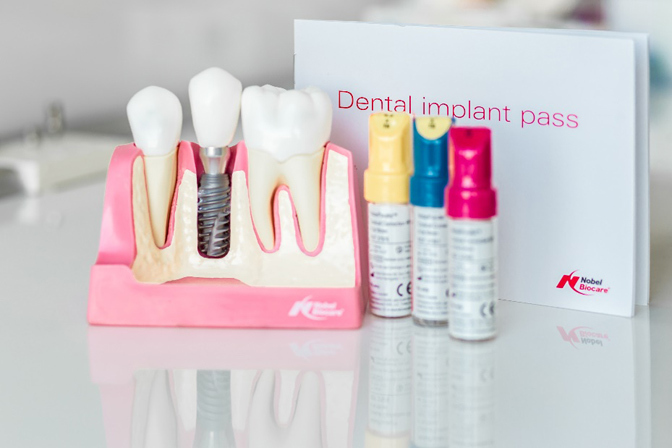 Why is it important to know the brands of implants? That is why in our clinic we only use the leading implant systems and eliminate long-term uncertainty!